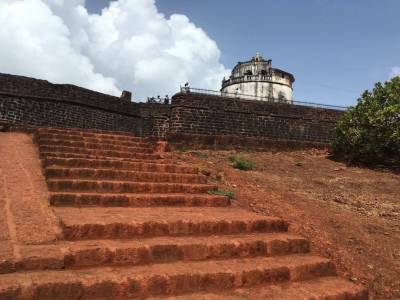 The construction of the fort Aguada started in the 1609 CE and it was inaugurated in the year 1612 in order to keep vigil over the waters from foreign intrusions. This fort signifies the glory of the Portuguese settlement in Indian sub continent. Fort Aguada is one of the main tourism spots in and around Panaji, the capital city of Indian state Goa. The view of the vast blue water of the Arabian Sea cradled by the Goa province by its extensive shoreline is a breathtaking sight from behind the high walls of the Fort Aguada. This place is a great tourist magnet because of its multi-facial attraction. 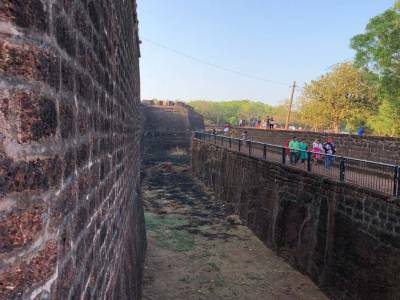 The history of the fort that glorifies the Portuguese empire and its connections with India interests history buffs while others ate mesmerised by the sheer robustness of the fort and the vista it presents of the sea and the sun. 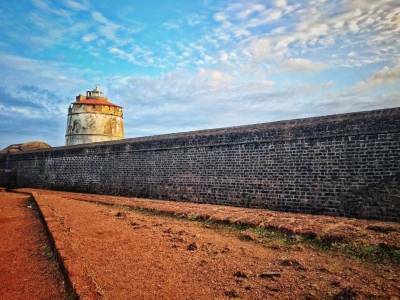 The lighthouse of the Fort Aguada is a special mention and a photography session spot. The 19th century four storey light house gives the tourist ample view of the horizon and a scope to capture it in frames. Other than the light house Aguada Jail, the St Lawrence Church etc are good spots to visit. 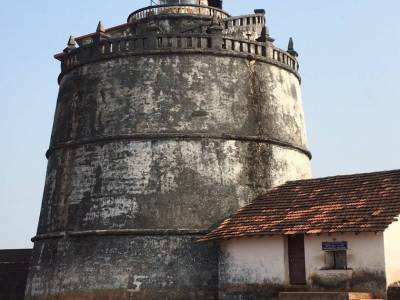 The trip to Fort Aguada is very easy as it is just a 15 KM drive from Panaji, hence it is very accessible. 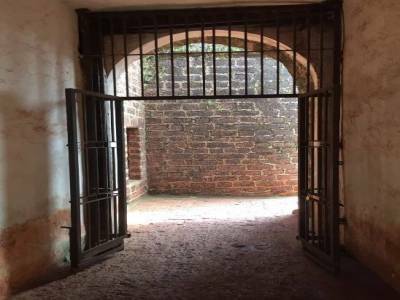 Get quick answers from travelers who visit to Fort Aguada.